There is nothing like buying a new boat and dropping it into the water for the first time. As you ease off the trailer and lower the propeller into the water, the sound of that engine can make your heart skip a beat. Your boat looks so sleek and fresh and so you vow that you will take care of this thing. You will wash it off and keep it looking just as new in 5 years as it looks today. Well, a few rides go by and a lot of time out on the water happens. While you still love your boat, it doesn’t give you that same excitement as that first time putting it in the water. Maybe it’s time to get your boat back to its original beauty. Bring your baby back to life with a new marine paint job and restoration with Anchor Marine Repair! Listen, no matter how hard you try, if you are making memories on a boat, you are going to end up with dings, scratches, fading and general flaws – it just happens! Even on the deck, the sun can make your deck and covering boards look scorched after a period of time. When the cockpit looks bad, it’s hard for any boat to make a good impression. So when your boat needs a little tender love and care, don’t give up on it! It may have a lot more years left to give! Anchor Marine Repair can paint what needs to be painted, redo your teak and cockpit. and even renovate your helm with whatever is new on the market so that your boat has the most modern technology out on the water. A simple paint job can make all the difference with a boat but it should not be trusted with just anyone. Proper prepping of the boat is the most crucial part of the process. 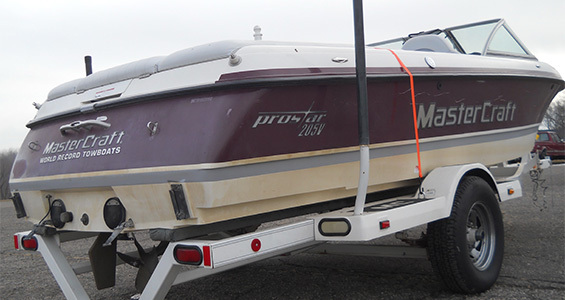 Our professionals are well versed in the ins and outs of boat painting. We sand areas down and properly prep the area so that your paint job will last. If not done properly, paint does not stick as well and can begin to chip off very quickly. We take pride in every repair, renovation and refurbishing project that we do. 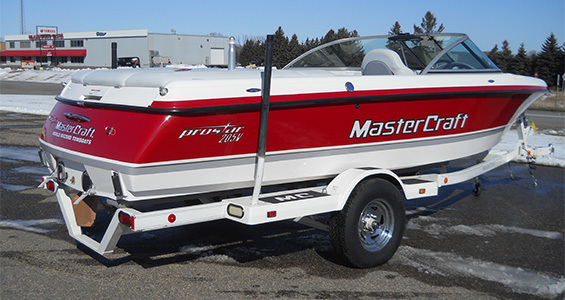 We can take your boat and turn it into the beautiful ride that it once was – all you need to do is call us! For more information about Anchor Marine Repair and our free pickup and delivery options, please give us a call today! As Minnesota’s number 1 repair shop, we look forward to working with your beauty! Call us at 763-972-3540.